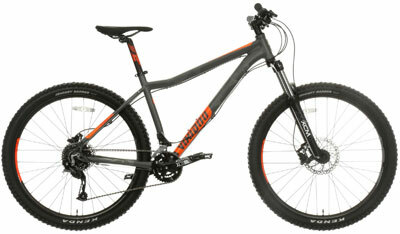 Is The VooDoo Bantu Mountain Bike Stylish And Multifunctional? The product description for the VooDoo Bantu Mountain Bike talks about a comfortable and reliable ride with show stopping looks. It has a nice design, large tyres that immediately look up to the job, a lightweight aluminium frame and a full specification. Let’s break this down to see whether buyers agree with this sentiment and if anything appears to be missing.